So anyway, today it's Hello Dark Night, Goodbye Federation Green! As far as our little shop/house goes we are on the home stretch. 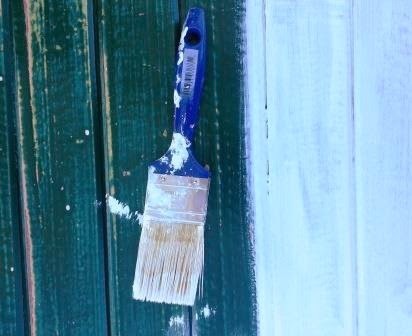 It's nearly time to "put the icing on" (I read this phrase in one of Megan Morton's books and like it), which means rummaging through the shed for lost/forgotten treasures and doing a spot decoration d' interieurs. This has been a long time coming and I am very excited about finally, turning our house into our home. (fine by me because I am the only member of a very messy family who cleans it. Two daughters. One husband. Shampoo, conditioner, exfoliater, hair! Oh the hair!!! Daughters not husband's. He shed most of his l-o-n-g ago! Sorry Anth. "Why the bloody hell did they paint their skirting boards black?! What were they thinking?!" I can hear them now. Ha-ha! Sucked in! 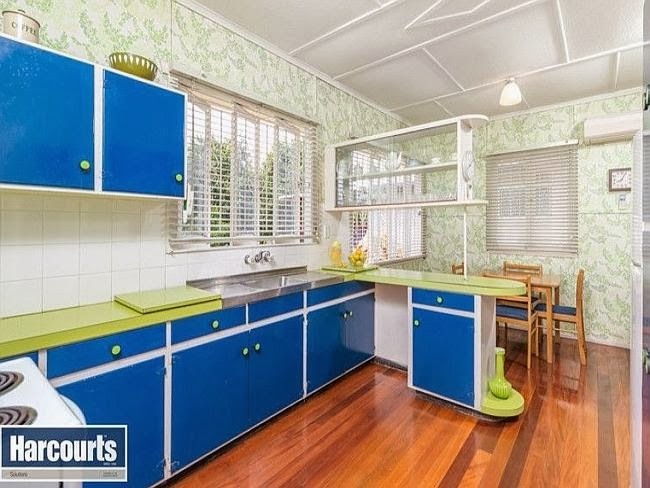 "The House That Time Forgot"
Some of you (particularly the Brisbanites among us) have probably already had a look-see (Anth spotted it on the Corurier Mail real estate page) but if you haven't you're in for a treat. It's described by the author of the article as "an assault on the eyes" which is absolute poppycock IMO. 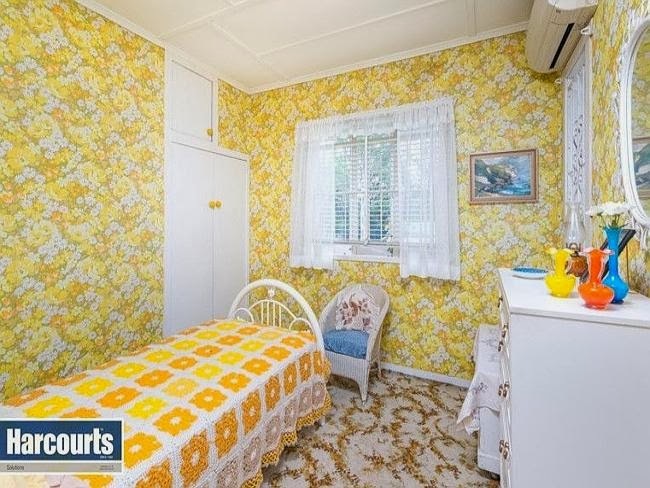 It is a bit wild and crazy, sure, but I doubt you'll find a more perfectly preserved 50's interior in Australia (excluding Rose Seidler House and its ilk, of course). There's no black or white with this one. It's gonna have lovers and it's gonna have haters. Drop me a note and let me know where your feelings lie. I've got a baked Ricotta Cake in the oven, almost ready to come out. So I've got to make this a quick one. Here are some pics. Feast your eyes! Sunnies on? You might need them. Florence Broadhurst meets Opium den? "They call me mellow yellow (quite rightly)" Donovan, 1966. This is what I love about real interiors. 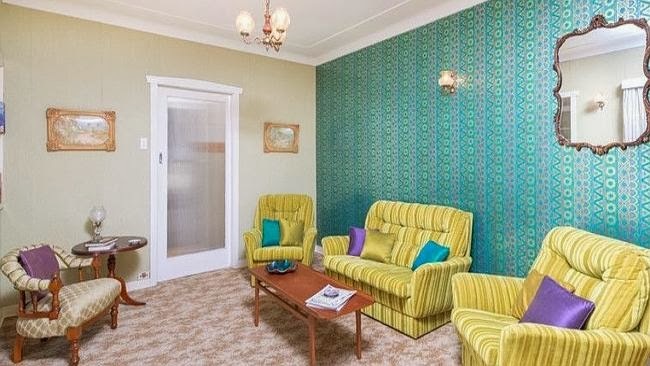 Colonial, meets retro, meets Nanna = keeping it real. Not a stylist in sight. 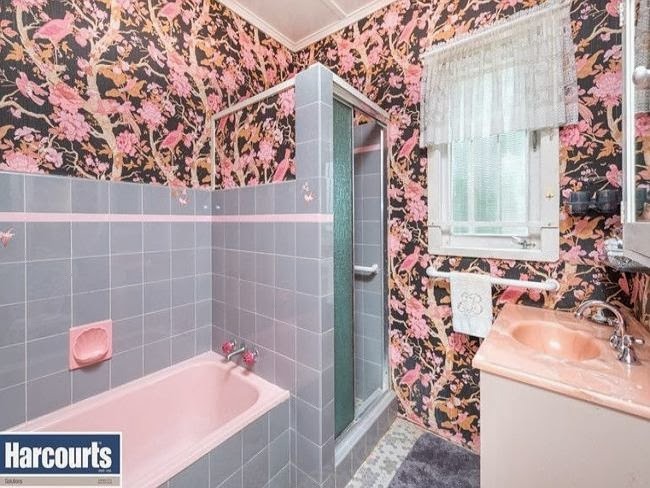 Just someone with obvious pride in their home, doing their best to make it look nice. Love. Here's the link to the article (and source of the images I've posted). You can see more pics there. Including a couple of bedrooms, one in peach tones, the other in browns. Lovely! Plus a garden with a real Hills Hoist. Enjoy!